In the case of the FSB blocking merchant ships through the Kerch Strait, NATO will act only if their ships are attacked, according to the Commodore of the Standing NATO Maritime Group 2 (SNMG2) Boudewijn Boots. "We carry out military operations in accordance with instructions from the NATO command. Here we need a political decision of the alliance. I note that we represent a defensive organization and will act only when our ships are attacked," he said. Boots stressed that the buildup of Russia's military power in the Black Sea following the annexation of the Crimea led to an increase in the presence of NATO ships in the Black Sea region. Head of the NATO Representation in Ukraine Alexander Vinnikov said that NATO hopes for an improvement in relations with Russia. 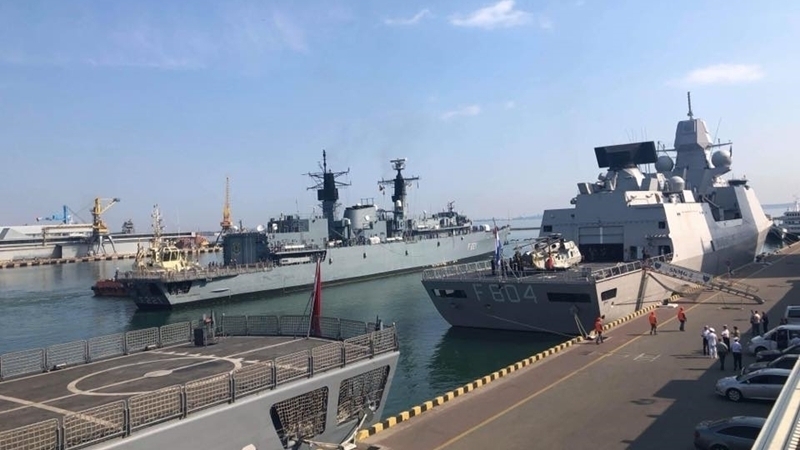 QHA reported that the ships of the Standing NATO Maritime Group Two (SNMG2), as well as the ships of the Standing NATO Mine Countermeasures Group Two (SNMCMG2), entered the port of Odesa. July 9, the Sea Breeze-2018 exercise was launched in Odesa with the participation of the Ukrainian Armed Forces and military personnel of NATO countries. It was to be held in the Odesa, Mykolaiv regions and in the northwestern part of the Black Sea until July 21.